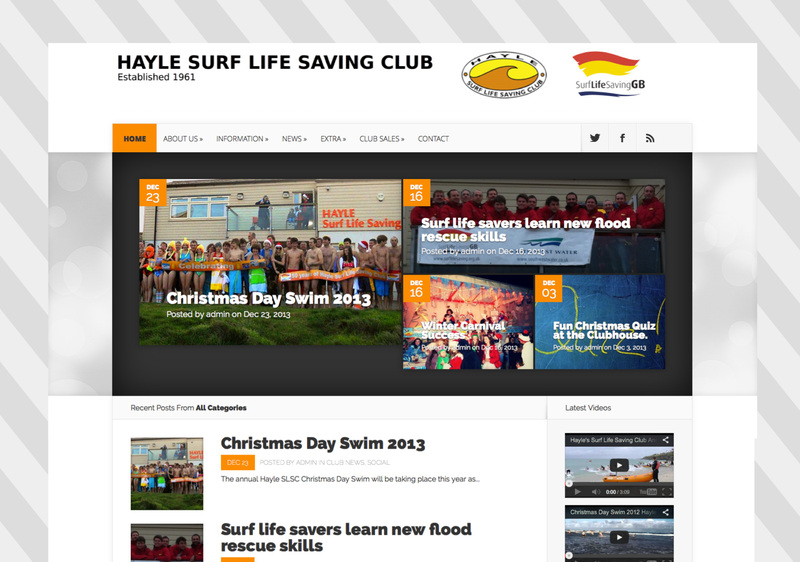 Hayle Surf Life Saving Club is a local sports club that needed their existing website redesigned with a focus on there current news section. The club actively uses both Facebook and their website to let members know about what is going on within the club such as: upcoming events, training days, qualification renewals, social events, competitions, etc. 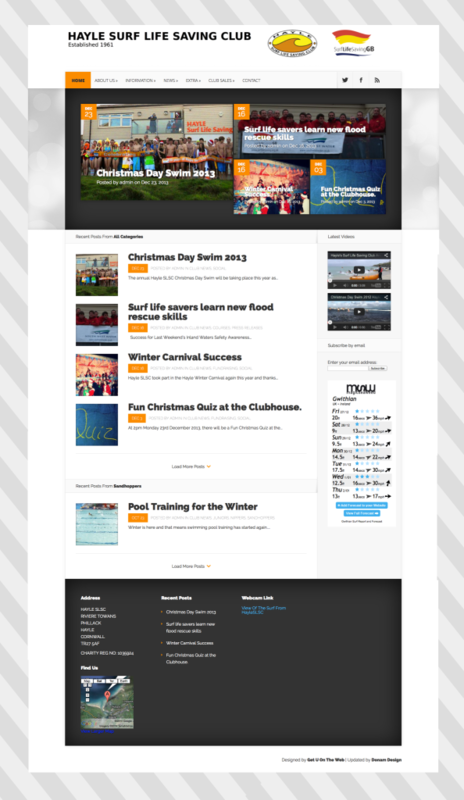 With this in mind we redesigned there existing website (initial website content was provided by Get U On The Web) with a focus on there latest news. The very top of the page has the usual navigation menu to all the pages such as membership fees, training diary etc, then we added an area where all the latest “Club News” would be shown with an accompanying photo, so this section would be relevant to all members. Below this is the General News, and below this is the Sandhoppers News section, as they are the youngest members of the club a lot of the articles would not concern them so we gave them there own section on the home page. To the right of the page are the latest Youtube videos, Email Subscribe section (once your email is entered you will be notified when a new article is published) and finally the surf forecast. As both myself (Phil Needham) and Harry Lee are members of the club we are providing the service of updating the website when new articles are passed onto us by the committee. We can however train a member of you club to update your site if you wished, if you can use a basic Word-processor we can train you to add articles to the website.